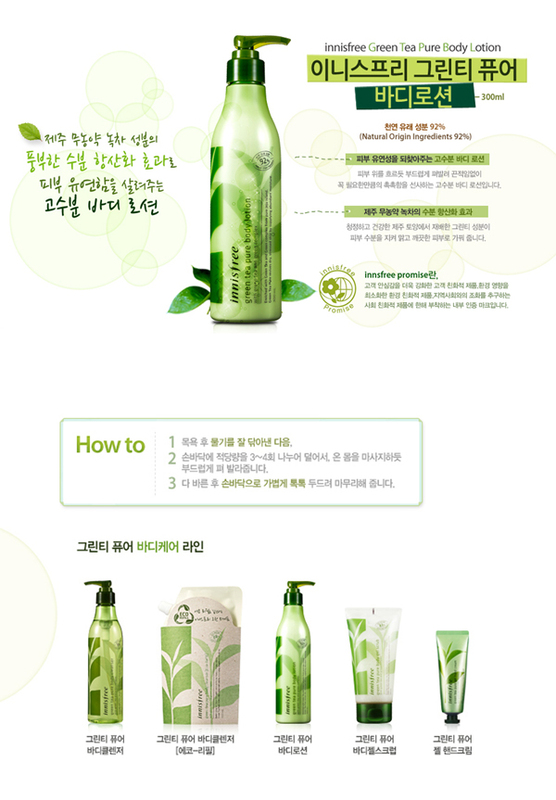 This enriched moisturizing body lotion contained with Jeju organic green tea moisturizing, antioxidant ingredients helps to refreshingly revive skin suppleness and create a clear body skin. After wiping off water, apply 3-4 times with an appropriate amount onto palms and gently smooth as your massage onto entire body after shower. Afer applying thoroughly , gently pat to finish.